Welcome! Thank you for visiting our Firm Website! The American Immigration Law Center, Pedersen Law, P.L., is devoted to providing clients with the highest quality Immigration Legal services in all areas of U.S. Immigration - representing clients throughout the world, including the United States, Latin American, Europe and Asia. As a small Law Firm, we are able to provide you with friendly, personalized legal services. We look forward to meeting you soon…. 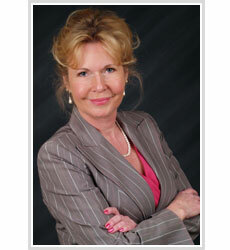 Attorney Caroly Pedersen personally handles every Legal Immigration Case, from start to finish. With over 22 years of professional Legal experience in Federal Immigration & Citizenship Law, she is a writer and lecturer on Immigration Law, with weekly Immigration Law columns and editorials in newspapers and magazines in both English and Spanish. Ms. Pedersen is a member of the American Immigration Lawyers Association (AILA) and the Florida Bar Association, and continually keeps up-to-date on emerging issues in Immigration Law, and important changes to Immigration regulations and procedures, in order to provide our clients with the most current Legal Advice, Immigration expertise and recommendations. Attorney Carlos M. Duque is Of Counsel to the Firm for Immigration cases involving Deportation, Criminal issues and Asylum. Mr. Duque concentrates his practice on the representation of clients who have been placed in deportation or removal proceedings in Immigration Court, as well as those detained by Immigration and Customs Enforcement or by Customs and Border Protection. Mr. Duque is a member of the American Immigration Lawyers Association (AILA) and continually keeps up-to-date on emerging issues in Immigration Law, in order to provide our clients with the most current Legal Advice, Immigration expertise and recommendations in all areas of deportation, removal, criminal and asylum. Maru Bustamante, MBA. 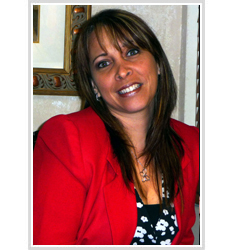 is a Senior Paralegal and International Legal Director of the Firm. She is a licensed Attorney in Venezuela, with over 16 years of combined management and legal experience in Federal Immigration & Nationality law practice. Ms. Bustamante is a member of the American Immigration Lawyers Association (AILA) and possesses expertise relating to Family, Employment and Investment Residency Petitions. Zuleika Mendoza is a Certified Immigration Paralegal with experience in Federal Immigration & Nationality law practice relating to Family, Employment and Investment Residency Petitions, professional language translations and certifications. 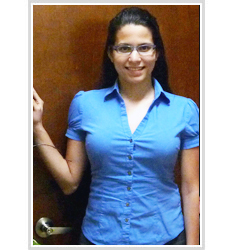 Gabriela Mantilla is a Finance Analyst. She is a Certified Public Accountant with a Master's Degree in Finance, Bachelor's Degree in Accounting. Ms. Pedersen graduated from Nova Law School and was admitted to both the United States District Court, Southern District of Florida and the Florida Bar association in 1989. We consider our clients as friends and partners in the immigration process - with your immigration success our primary goal and greatest reward! We look forward to meeting with you personally in our office, during a telephone or email consultation or at one of the Firm's Immigration Seminars and Immigration Workshops. Also, be sure to subscribe to our Immigration News & Updates eNewsletter so that you can keep up-to-date with all the current Immigration News and interesting issues in the popular Q&A section. You can also send me an email with questions or concerns about your immigration case. Best Wishes! Mr. Duque graduated with honors from NOVA Southeastern University (Ft. Lauderdale, FL), and from the law school at the Universidad del Rosario (Bogotá, Colombia). Mr. Duque was admitted to the Colombia Bar in 2002 and to Florida Bar in 2007. 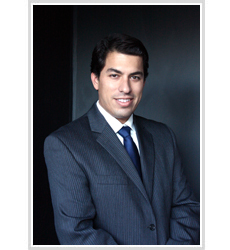 He is currently the Vice chairman of the Immigration Committee of the Dade county Bar. 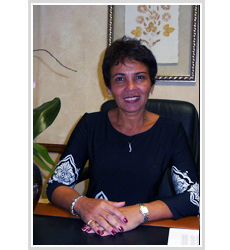 Ms. Bustamante earned her Law degree at the Universidad Santa Maria, School of Law, in Caracas, Venezuela in 1991 and subsequently received a Masters Degree in Management from AIU in Florida in 2005. As an accomplished Attorney, Ms. Bustamante distinguished herself internationally as the Legal Counsel of several domestic Corporations and Banking Institutions and was also a member of numerous juridical, business and charitable organizations in Venezuela. Our Law Firm benefits from Ms. Bustamante's vast experience & commitment to excellence, her coordination of all administrative functions, and unparalleled attention to detail …. All of which play a vital role in ensuring the successful, smooth running & efficiency of our Firm's operations.